2019 Team Registration is available here. Teams competing in the grades 6-8 division will also be asked to present a budget of their project. They will need to inventory each K’Nex piece they use and list a price for each piece. They will need to present their inventory and an overall cost of their project. Click here to download an inventory list. Each team will need to prepare a presentation (max 2 minutes) on their model and how they answered the challenge. Middle school students will also need to present their inventory. This should be a diary of the team’s journey from start to finish. Each teacher/advisor is permitted to register one additional chaperone per team. Registration must be completed separately for each team entered in the Challenge. The 2019 kit is the same kit that was used in previous years. If your district participated last year, please plan on using the same kit. Any combination of pieces may be used, as long as they are genuine K’Nex, at least one motor is included, and the number of pieces does not exceed 1,400. 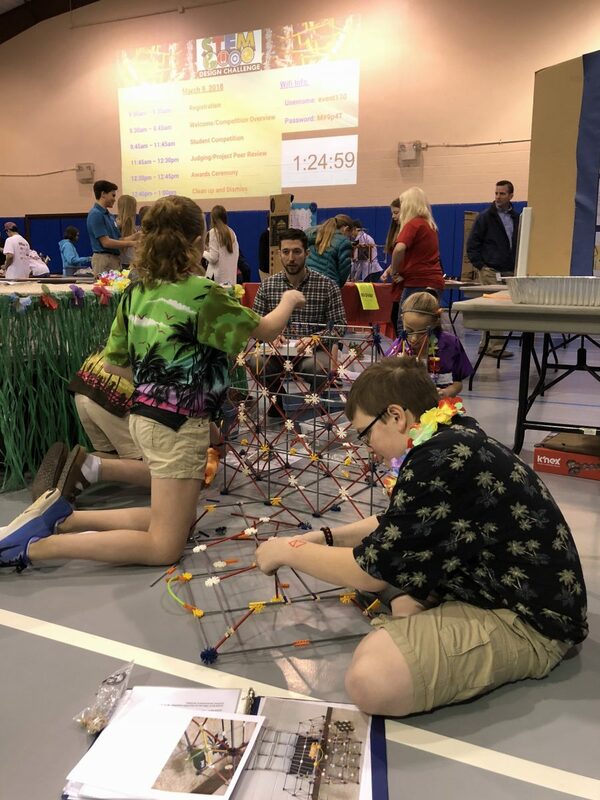 All teams must arrive with their own K’Nex kit/pieces—we will not have extras available on the day of the competition. Must use at least one motor. Describe the process the team used to come up with a solution. What roles did each member have while coming up with the solution? What types of issues arose while working on the project? Did creating a blueprint help with the creation of your model? Did you use any other resources or models to help your team come up with a solution? Blueprints may be a photo, drawing, CAD, etc. Students may present on a tablet/laptop but judges do not award additional points for use of technology. Each presentation will be two minutes or less. Students may use a tablet/laptop but will not be awarded any additional points. 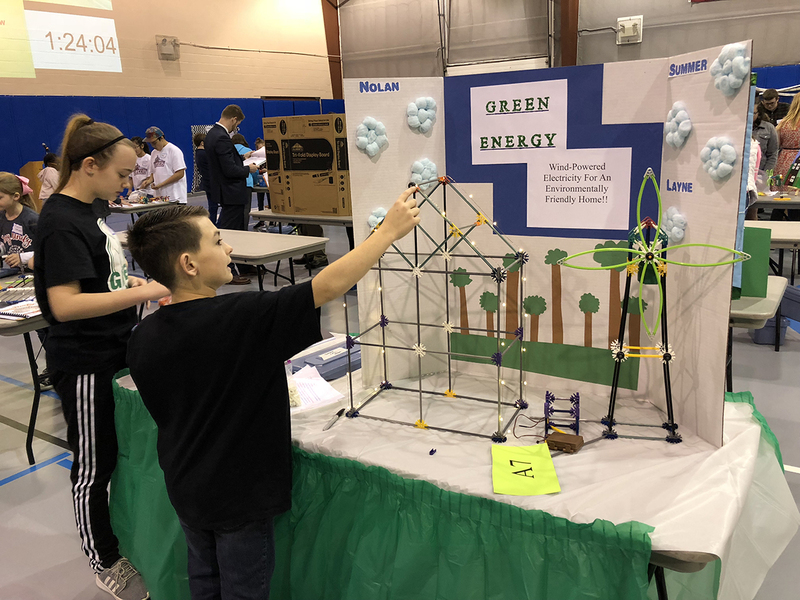 Middle School students must also present their project budget. There is no set lunch time built into the schedule. Students, teachers, and chaperones are invited to pack a lunch and eat when time permits. Each team will have the use of one assigned 6-foot rectangular table; separate seating areas within the room will be available for any downtime. Although we’d love to invite all parents/families to attend, space limitations prevent it. We’d like to take pictures of the event and promote this with local media. Each student must complete a signed Photographic Release Form. Teams may use these rubrics of the judging criteria while preparing their projects. Lots are depicted on the PCT Campus Map. Buses and vans will park in E8 and R2 lots. All other vehicles are welcome to park in the C4 and C6 lots. Contact Rob McKenzie with any questions.